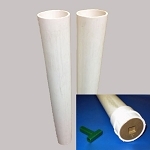 Tennis Court Supply has all the ground sleeves you'll need to install any tennis net posts in any type of tennis court. Our wide variety of ground sleeves is manufactured by Edwards, Putterman, ATA, and Douglas of sturdy materials such as aluminum and PVC. 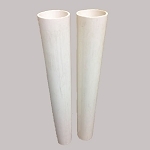 You will definitely find the ground sleeves you need in our selection. 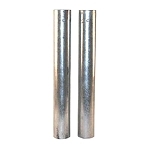 We carry both round and square ground sleeves in diameters of 3", 3-1/2", and 2-7/8" and in an assortment of lengths for a stable net post installation. We also have tennis post sleeve t-plugs in the full range of sizes, both square and round available. 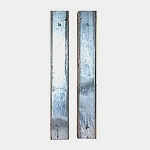 Putterman Steel Square Post Ground Sleeves - 3"